Leading up the race, Dale Earnhardt Jr went testing. Only, he didn’t do it in a NASCAR race car. 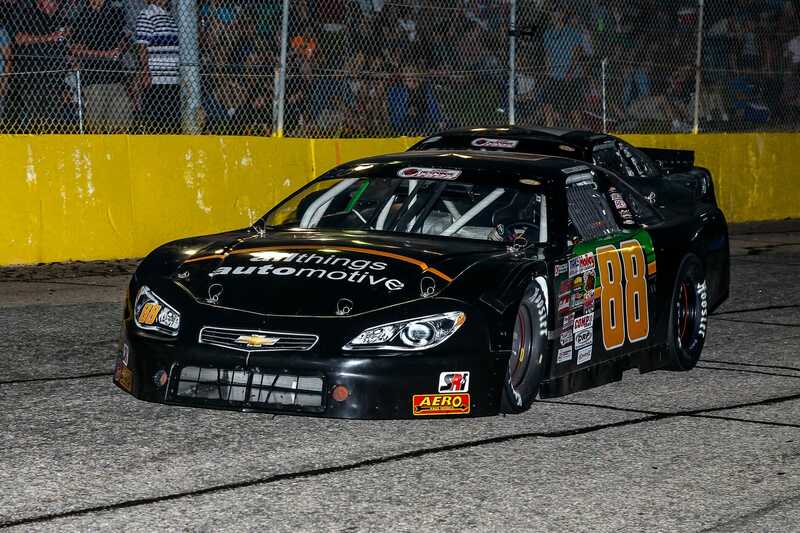 Instead, he picked up one of his JR Motorsports late models and hauled it over to Hickory Motor Speedway. It worked just fine. Dale Jr jumped right out of the gate and put it in the top-five during the first practice session. He then put it on the front row for the race. He went to finish 3rd in stage 1. He then won stage 2 (the first stage win of his career). Following the 250-lap race on Friday night he was credited with a 3rd place finish in the event. But, there’s talk of Dale Earnhardt Jr running a late model race. “Oh we will. We’ll cross that bridge one day,” Elliott Sadler refers to racing a late model with Dale Earnhardt Jr.
Dale Earnhardt Jr already has all the tools he needs to make that happen. By that, I mean that JR Motorsports fields cars on the CARS Tour, a late model series. “I’d love to race a late model one more time, somewhere. I’d love to take Elliott wherever he wants to go in one of our cars,” Dale Earnhardt Jr stated in the media center at Richmond Raceway. Dale Earnhardt Jr returning for a NASCAR race? 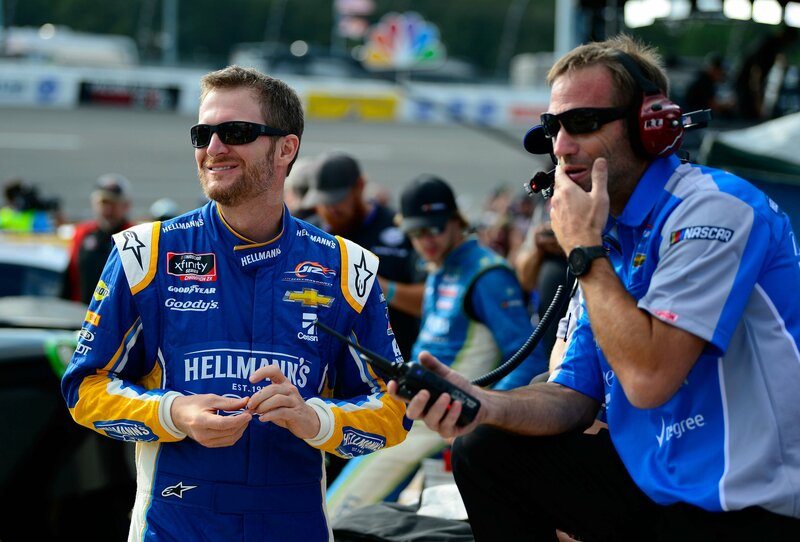 Dale Earnhardt Jr has always said that’s he’s only stepped away from full-time NASCAR racing. As of now, there’s already another race in the pipeline. “I’m probably going to run one more next year,” Dale Earnhardt Jr stated after Richmond Raceway. This is the same way that a lot of teams operate including Kyle Busch Motorsports. Dale explains that just by him jumping in the seat he can sign 8-10 race deals for the other guys on his JR Motorsports team. There was a new element to the race for Dale Earnhardt Jr on Friday night. It’s not uncommon for families to stand by the race car on pit road during the national anthem. However, Dale Earnhardt Jr went his whole career without that moment. Since his retirement, he’s welcomed his daughter into the world. Ahead of the race at Richmond, he stood by the car with his wife Amy and their daughter Isla.